Thirty-four restaurants in Labasa have complied with the standards and requirements of the grading system since it was implemented by the Labasa Town Council (LTC). The owners and employees of the restaurants at the Food Handlers’ Training Course held at the council chambers yesterday were urged to adhere to the Food Safety Act. Council assistant health Inspector Newal Naidu told the participants that customers trusted them to serve clean and healthy food and this trust should not be broken. “If a customer suffers from food- borne illness and upon treatment at the hospital finds out that he or she got sick from eating food at your restaurant then the customer has the right to complain to the restaurant owner,” Mr Naidu said. He told the participants that 76 million people in a year become ill from poor handling of food. “We have received complaints where customers have found hair, steelwool even a band aid found in the food served to them on a plate,” Mr Naidu said. He said general hygiene practice was very important. Special administrator Labasa/ Savusavu Vijay Chand said this training was conducted to encourage prevention of food-borne illnesses and protect the public and workers from harm. 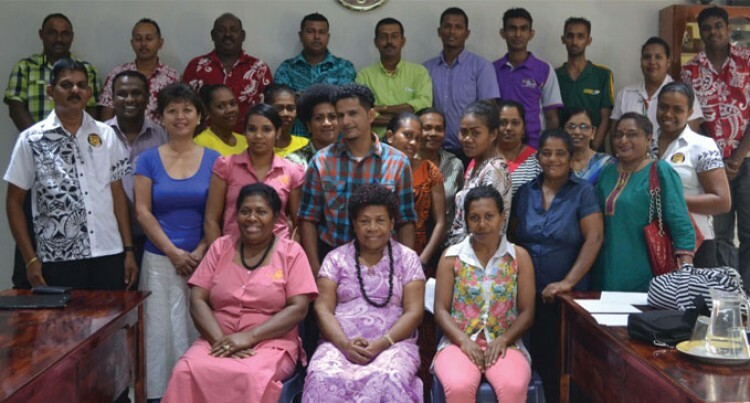 During the opening of the training Mr Chand said one of the objectives was to raise the level of compliance with food legislations throughout the food establishments in Labasa. Helen Chang the owner of The Horse Shoe restaurant said grading system had encouraged the staff and her to implement news skills and improve the standards of the restaurant.